PWCE specifically designed their MAGNESIUM SMUTTING MACHINE around a mini-excavator. 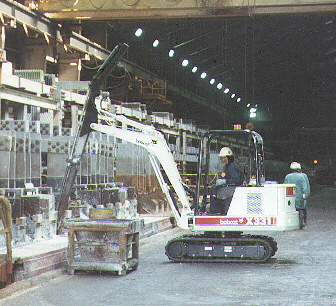 The machine is designed to work in 1400 degree molting magnesium. 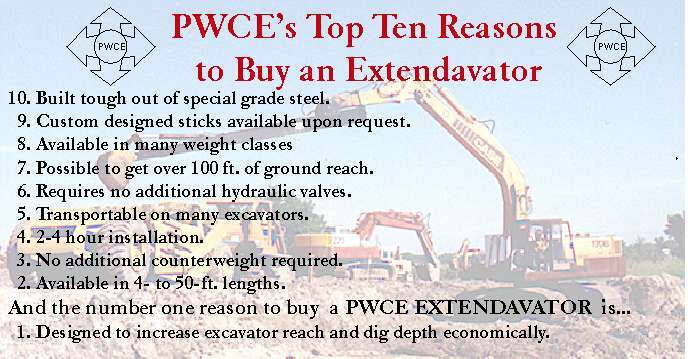 There are many different models available, and PWCE will modify the machine to fit your application. So give PWCE a call to see what we can do for you. .....The U.S. Mine Safety and Health Administration (MSHA) is urging the use of video cameras on rear-dump trucks and front-end loaders. .....The idea is to significantly decrease the blind areas, preventing potentially serious accidents when operating this type of machinery. MSHA has claimed 59 deaths have occurred since 1987 that could have been prevented by such technology. .....So far the industry feedback has been overwhelmingly positive, so get ready for the cameras in your heavy machinery. The American Road & Transportation Builders Association is a construction and transportation industry advocate group in Washington, DC. They are worth a look! This site sells everything from machinery to property and even posts jobs! Check it out! 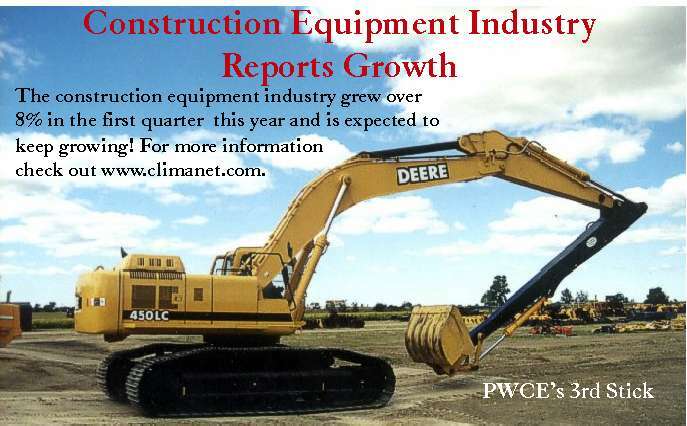 Want the latest news in construction? This site is an industry publications hub. Check this interesting site out! A few years ago, our customers began asking our Sales Manager, Paul Imm, about what could be done about obtaining extra reach for their excavators. What came of that query is the PWCE EXTENDABLE PAW. The product proved to be so successful that PWCE now has a complete line of EXTENDABLE PAWs for the 5,000 lb. Class to the 100,000 lb. Class. The number one feature of our EXTENDABLE PAW is the versatility--extra reach when you need it! PWCE was asked to come up with a solution to Reynolds Aluminum's slag breaking problem. 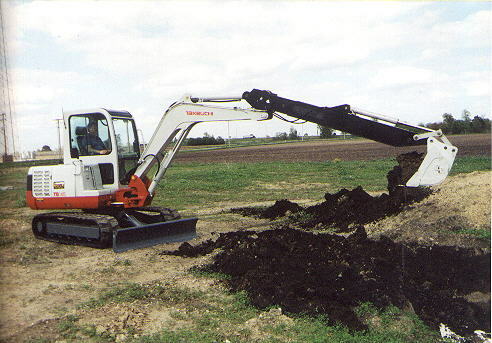 PWCE decided a slight modification to a mini-excavator would do the trick, and it did. Our END BREAKER could take extreme temperatures up to 900 degrees, fit into their size restrictions, and meet all operator safety concerns. The PWCE LONG FRONT is specifically designed to attach to mini-excavators with no change to the functions of the excavator itself. 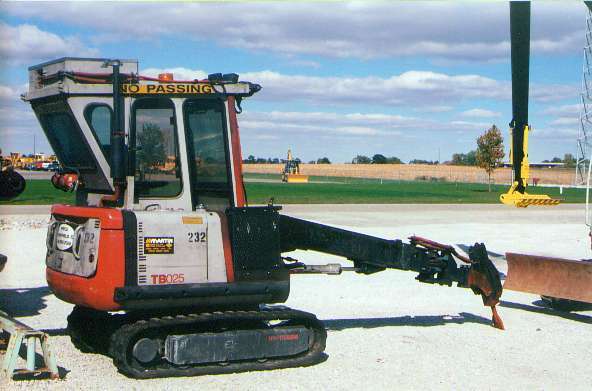 The LONG FRONT features either a three foot rake with a thumb or a bucket, and it can be used in a variety of working conditions, including demolition, slurry walls, and dredging. 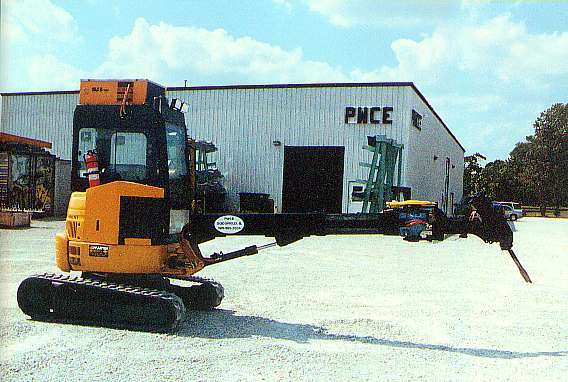 Copyright © 2000 Paul Wever Construction Equipment Co., Inc./Paul Wever. All rights reserved.